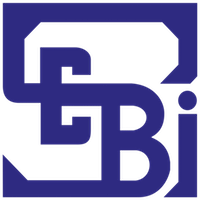 Online Application Details for Securities and Exchange Board of India SEBI Recruitment of 1 Chief Information Technology Security Officer is given below. Application form and duly attested documents are to be sent to General Manager (HRD), Securities and Exchange Board of India, Plot No.C4-A, “G” Block, Bandra-Kurla Complex, Bandra (East), Mumbai-400 051. In envelope super scribed with 'Application for the Post of Post Name'.